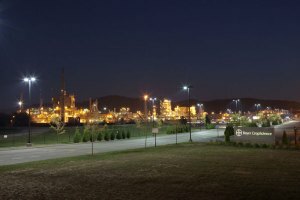 CHARLESTON, WV (HNN) – An esteemed chemical engineering safety expert who participated in the investigation of the break-up of the Challenger space shuttle has been appointed to determine the suitability of the Bayer plant for resuming MIC production. Federal Judge Joseph Goodwin approved Sam Mannan, PE, CSP, of Texas A & M University as a court appointed expert. In a statement from Bayer CropScience, Steve Hedrick, vice president and head of the Bayer CropScience Institute Industrial Park says the they are pleased with the court appointing a technical expert to help assist in making its decision about operations at the plant. The news release from Bayer states that they have invested more than $36 million to enhance its operational safety. “It is our hope that this matter will be successfully resolved and that we can resume our safe production soon after March 28,” said Hedrick. One of Mannan collegues , John Astad, commented on Facebook that the Bayer incident is "an excellent example of what Dr. Mannan is referring to [in his testimony before Congress]. The Chemical Safety Board final report stated the "facility response was not integrated with local emergency planners. "This is where an understanding of National Incident Management System is vital," Astad wrote. Dr. Mannan mentioned Bhopal in his testimony on post 9/11 preparations for homeland security issues such as chemical plant safety. "One very stark lesson from the 9/11 events is that the 'first' first-responders are usually members of the public. Whether natural or man-made, disasters will continue to come. However, as we have seen with the 9/11 events, Hurricanes Katrina and Rita, and chemical incidents such as the Bhopal disaster, planning and response is crucial in being able to reduce the consequences and to recover from the disaster more rapidly." Dr. Mannan emphasized the need for reserch on "decision making, particularly under stress," when testifying on chemical facility anti-terrorism. One of the courts assignments to the expert is to determine whether the amount of MIC at the Institute plant has the potential for Bhopal type consequences. Both Bayer and the plaintiffs were pleased with his appointment. According to the court's order, the expert will be available in mid-March for depositions.